Horror scores often contain rather disturbing and dissonant music. However, such scores often give us heartbreaking romanticism with lyrical and flowing melodies of mystery that tantalize with their eerie beauty. This contrast makes the horror all the more horrific when it finally comes. Disturbing and horrific album cover aside, the eerie beauty is the direction Nathan Barr takes his score with an intimate ensemble of cellos, piano, ukulele, guitar, guitar viol, glass armonic, and Celtic harp, each often played with mesmerizing and languid dreaminess by the composer himself. Barr, who once got a job in part on the strength of his horror DVD collection, is no stranger to the genre having scored six seasons of True Blood and several horror films such as Cabin Fever and The Last Exorcism. 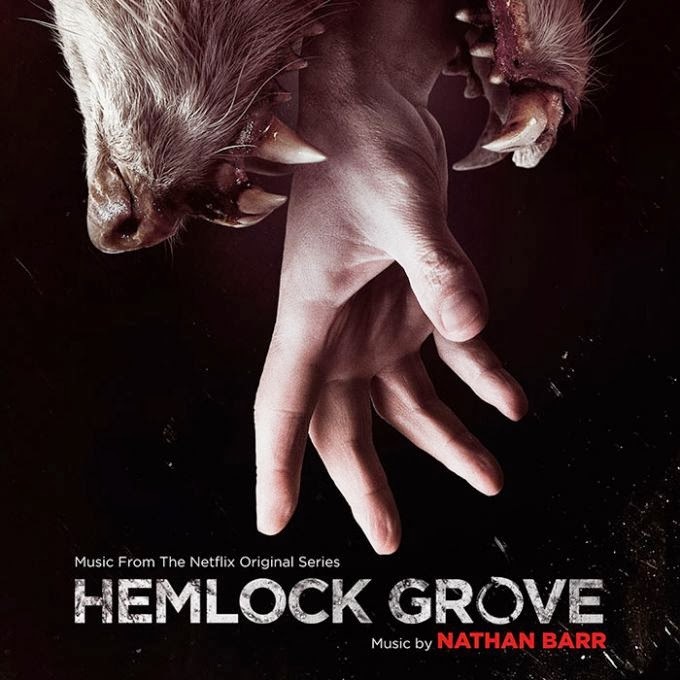 Hemlock Grove tells the story of a fictional Pennsylvania town where Roman Godfrey and the newly arrived Peter Rumancek investigate some recent brutal murders. As will be seen the score, or at least the album, spends most of its running time exploring the investigative parts of the story rather than the murders. The first three cues get the mysterious vibe off to a great start. The main theme heard over the titles takes its cues from the fading in and out smoke seen as the opening credits roll. Smoky mysteriousness continues in Ice Cream Shop with its echoing and lurking cello, string plucking, and brief, haunting vocals. Hiding behind an unassuming, humdrum title the highlight of the album, Shelly's Email, allures with its melodious and fluid cello and perfectly paired flowing piano. Those hesitant to explore this score should at least listen to this cue. One of this score's strengths is its variety with each piece giving a unique personality to the sequence it accompanies. For example, the main theme is not just mechanically repeated, but instead gets a makeover almost every time we hear it. In Carnival we get a spookish, circus-like version. Arguably the best performance comes in the climactic Peter's Transformation where the theme gets the rock and roll treatment with a gradually increasing tempo that draws you in with its driving intensity. My personal favorite though is the heart wrenchingly beautiful rendition from 3:05 to 3:43 in Is This A Joke. This cue also introduces a new theme, which plays like a melancholy Chopin piano prelude with the addition of a cello and some unease-inducing orchestrations including the glass armonica. The intriguing tip-toe like theme runs through a number of variations on piano and cello. My favorite occurs during a lovely performance from 1:51 to 2:25 with the piano and a ponderous, Lurch-like cello playing the theme together. Another interesting motif is the whimsical, rolling piano in Brookes Vigil that is especially good when paired with a modern percussion beat. Killer Wolf epitomizes the album's disconcerting cover. Jarring banging accompanied by unsettling high-pitched tapping notes opens the piece and is soon joined by spine-tingling twinklings and tension filled strings. The cue ends with a creepy vocal jingle that trails off as if the power is cut followed by a banging drone. Not music I will likely return to often, but certainly creates some fright. Two other noteworthy cues bear mention. 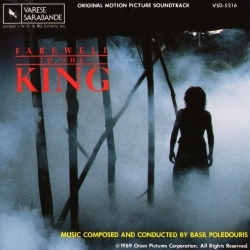 Longing begins with an eerie poltergeist-like opening followed by a haunting cello playing the main theme pleadingly and accompanied by ukulele plucking and a twangy tapping. The cello turns to mournful droning as the piano steps sneakily around. In Trust Each Other the unearthly, glassy tones of the glass harmonica harmonize beautifully with a mellow guitar melody. My favorite playlist / suite: Tracks 1-3, 7, 14, 15, 17. All New Review: The Boss Baby - All new review of the Hans Zimmer/Steve Mazzaro score. Copyright © Travis Elder 2015. Awesome Inc. theme. Powered by Blogger.